Darius on Idol, The Tonight Show & The Today Show This Week! 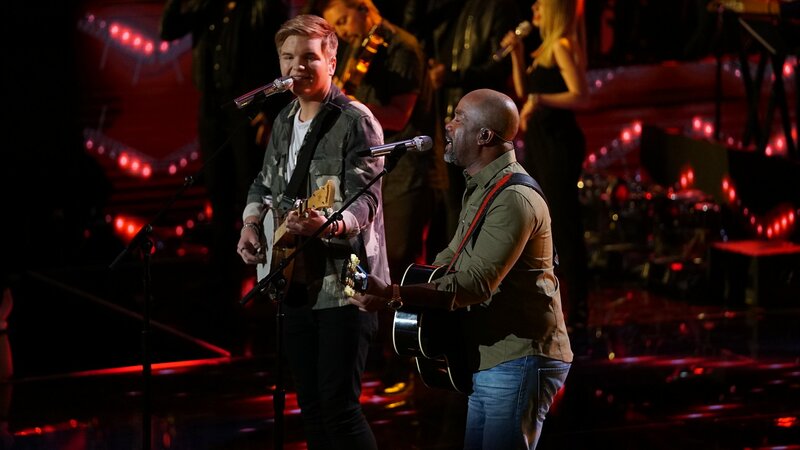 Darius Rucker brought his widely popular hit “Wagon Wheel” to the “American Idol” stage on Monday night, as he partnered with eventual runner-up Caleb Lee Hutchinson on the show’s highly anticipated season finale. “It’s so inspiring to see how much talent, passion and ambition these contestants have,” said Rucker. “I loved being a part of Caleb’s experience on 'American Idol.' He's got that old school voice." With “For The First Time” currently in the Top 3 on the country charts, he will return to national television on Thursday, May 24 at 11:35 p.m. EDT as the musical guest for a special Fleet Week episode of “The Tonight Show Starring Jimmy Fallon” on NBC. He will then grace the “TODAY” plaza stage for the Citi Summer Concert Series on Friday, May 25 starting at 7:00 a.m. EDT.